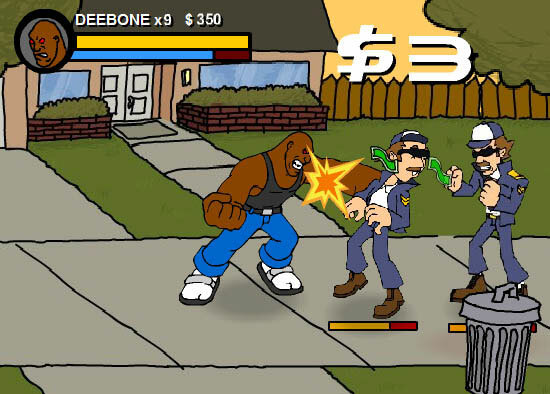 After being abducted by crooked code-enforcement officers, Deebone must fight his way back to the hood. Game design, programming, background artwork, music, graphic design. 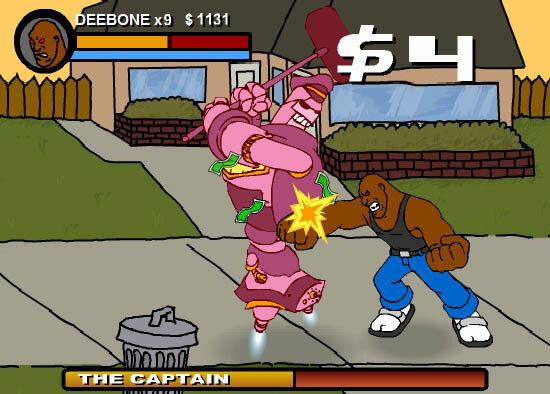 2 stages of beat 'em up action with 6 enemies and 2 bosses. 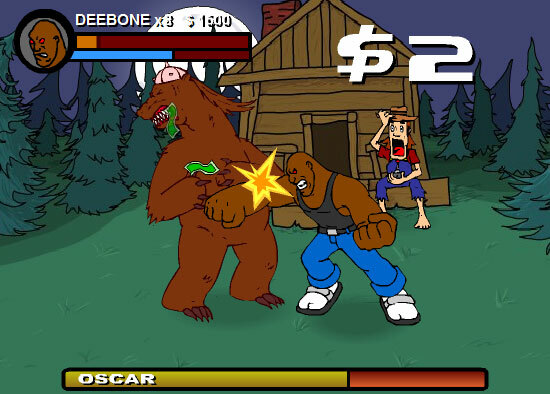 A Newgrounds.com hit, making frontpage and racking up over 850,000 plays since then.